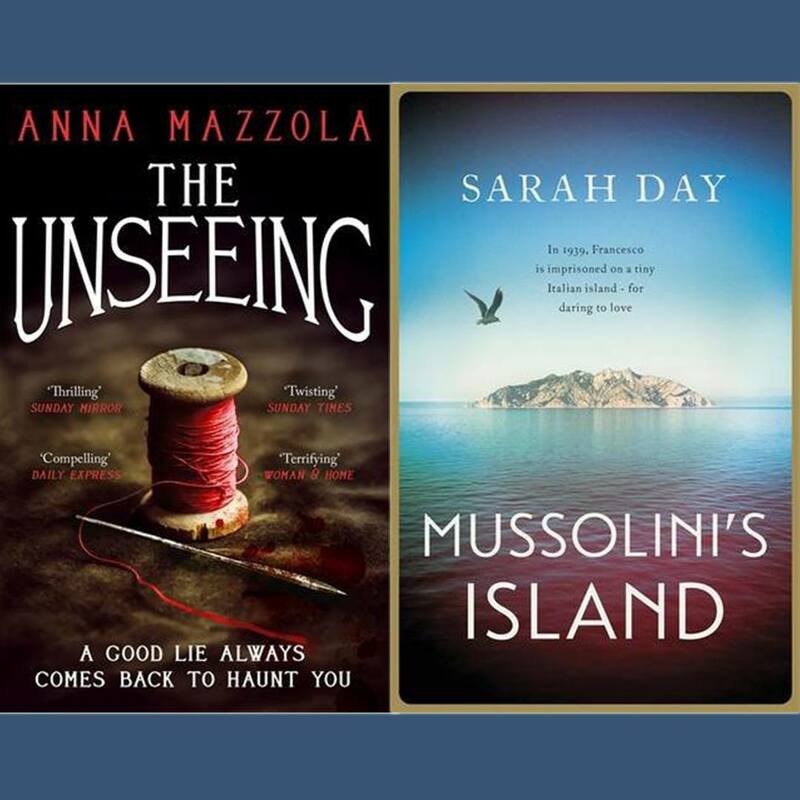 Sarah Day and Anna Mazzola have both written historical novels based on real events. Anna’s debut novel, The Unseeing, is based on the life of a real woman convicted of aiding a murder in London in 1837. Sarah’s debut, Mussolini’s Island, is based on the arrest and imprisonment of a group of Sicilian gay men during the Fascist era. Here they give some pointers on how to go about writing a novel based on a true story. Know what you’re letting yourself in for. Anna: I think the first thing to say is that you should be sure you want to write a story based on real historical facts, as opposed to a story inspired by a real story. There are very good reasons for writing a novel based on a true story, not least that there’s definitely a market for those novels. However, I think writing ‘fiction based on fact’ throws up particular challenges. From speaking to other writers, I know that it’s common to feel hamstrung by the truth and unable to create; or to believe you have to do so much research, that you never actually finish the bloody book. And there are also legal considerations. If you’re writing about real people who are still alive and litigating, then you need to be very careful that you don’t open yourself up to a libel action. Even if you change the people’s names, they can still bring an action if they say that others would identify them from your novel. If you’re using original materials still in copyright, you need to make sure you get the relevant permissions. Writing fiction based on true stories is great, but don’t fool yourself that it’s the easy option. Sarah: It’s also easy to forget along the way that you’re writing fiction, not history or biography. The fact that it is fiction means many things – you don’t have to feel guilty for not including all the facts, if they don’t fit within your plot. You don’t have to reference every fact, or include every single detail of the period (I really believe no one cares what sort of forks they had, for example). It also means, if a plot point isn’t working, ‘it really happened this way’ isn’t an excuse. Of course, it’s up to you how strict you are about sticking to the facts – some writers give themselves endless leeway, others none at all. But don’t forget your readers – they’re here for the story, not a history lesson. Anna: Yes, people will be reading your novel for the story – for the escapism – not for the facts. If they want facts, they can head for the non-fiction section. Set realistic targets for yourself at the outset. Anna: I began with some vague notion that I would abide by the premise that Atwood set herself for Alias Grace, namely that, ‘When there was a solid fact, I could not alter it.’ That may well be why I ended up with a story that just wasn’t surprising or twisty enough to satisfy readers of the crime genre. It required our literary agent (Sarah and I are both represented by the formidable Juliet Mushens) to beat me about the head for some time before I was willing to relinquish ‘the facts’ and concentrate instead on creating a novel that was true to itself and worked within the genre. I should have established at the outset a clear set of rules for myself – a set of rules that were realistic for a debut writer, rather than a Booker-winning literary giant. If you can, visit your setting. Sarah: My first attempt at a novel was set largely on a small, uninhabited island just east of Kamchatka – obviously taking a week of work to visit wasn’t really feasible. But unless your novel is set in a war zone/somewhere extremely remote/in space, a research trip is a must. This isn’t just to make sure you get the local foliage right, or understand the street patterns – your whole plot can change. Seeing a place helps you understand both it and your characters better. Where would they live? Where would their favourite places be? Where would they go to feel safe, to escape, to celebrate good news? If you can, try and see it at different times of year, and if you have more than one location, think about how they compare. The extreme contrast between the city atmosphere of Catania and the remote, rural isolation of San Domino was one of the most useful ways to try to understand what my characters were going through. Anna: And if the setting no longer exists (as was the case with The Unseeing, which is set largely in the thankfully-demolished Newgate Prison) there are other ways of gleaning a sense of what a place is like. I looked at prison plans and drawings, I visited other prisons and I read contemporary accounts of just how awful and stinky it was. 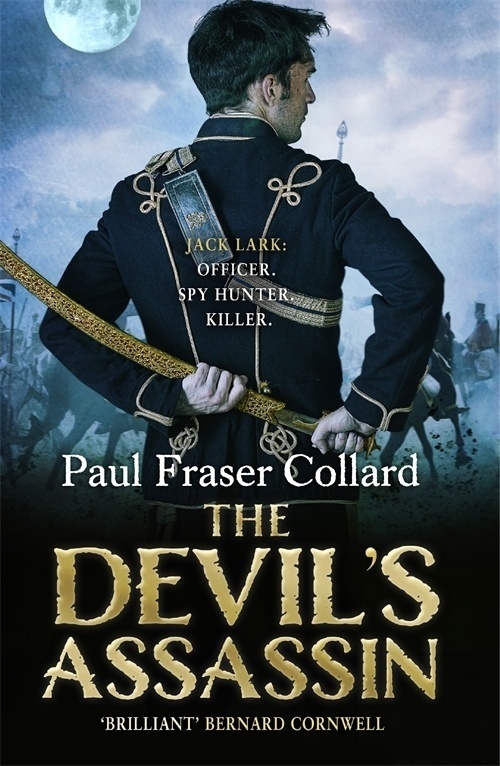 Sarah: I think a lot of people think the rules to writing a historical novel are sacrosanct – spend a huge chunk of time reading about your story and period, then plot it out, then sit down to write. Of course you can do it that way, but it’s not the only way. My own approach is much more chaotic – I tend to start with reading around the facts of my story, then dive straight into the writing. As you go, you’ll find questions arising which you might not have predicted – what are the implications of a character’s religion, where do they dream of travelling to, how would they have felt about the politics of the time? It’s impossible to know every research question that arises before you start. Anna: I agree. For my second novel, I’ve followed a four-layer process: initial broad research, drafting a plot structure to work out specific questions, writing first draft, filling in the blanks. This is because I spent such a ridiculous amount of time researching for The Unseeing. It was far easier than the actual writing bit. Sarah: There is one extremely important rule, though, which I have yet to remember – keep notes and references for EVERYTHING. At some point, probably two hours before you have to send your final proofs in, you will need to look something up, just to make sure it’s right, and you will forget where you first read it, and you will kick yourself. Anna: Good point. And, if your book is published, you will need all those notes and references for the blog pieces and articles you will be asked to write. Sarah: You’re researching, so you’re making lots of notes about outfits and what sort of food they had and what the police uniforms looked like. But never forget, what you’re really doing is building a story, and this starts long before you start writing. Now and then, you’ll come across a fact that immediately conjures a scene or a structure in your head. Be on the lookout. For me, it was a small reference to the fact that the prisoners on San Domino only had three options, if they wanted to leave the island. All three were very different. This is mildly interesting to a historian, but to a novelist it’s the beginnings of a structure. What if a character were to try each of them, one by one? Anna: That links in with a point I wanted to make, which is that the historical reality or the truth of the court case isn’t the plot of your novel. What matters are your main characters’ arcs: the journey they take over the course of the novel. It took me a long time, and many words, to work that out. Sarah: Your story is based on fact, so you think you know exactly where it’s going – but you don’t. You might find a secondary character you didn’t think much about to start with becomes your protagonist, as you find out more about them. You might find a dual narrative emerging, or a first person voice in a book you were sure was in the third. You might discover something extraordinary in your research that takes your characters on a whole new journey. It’s the unexpected twists in your research that make writing a book based on facts so much fun. Anna Mazzola’s The Unseeing is out now in paperback. Sarah Day’s Mussolini’s Island is out in hardback on 23rd February.